When a message receiver can identify the fact that some of their messages are tricksters it can go a long way towards improving efforts to fit in, heal trauma and reduce consensus reality confusion. A supporter who is trusted may be able to articulate the concept, spot it when it’s happening, and teach spiritual skills that can help the message receiver mitigate damages. According to Wikipedia, the concept of a trickster is a cultural archetype. In other words, a trickster is a cultural reality of the collective unconscious that Carl Jung identified. Accordingly, all cultures feature tricksters in their mythology. 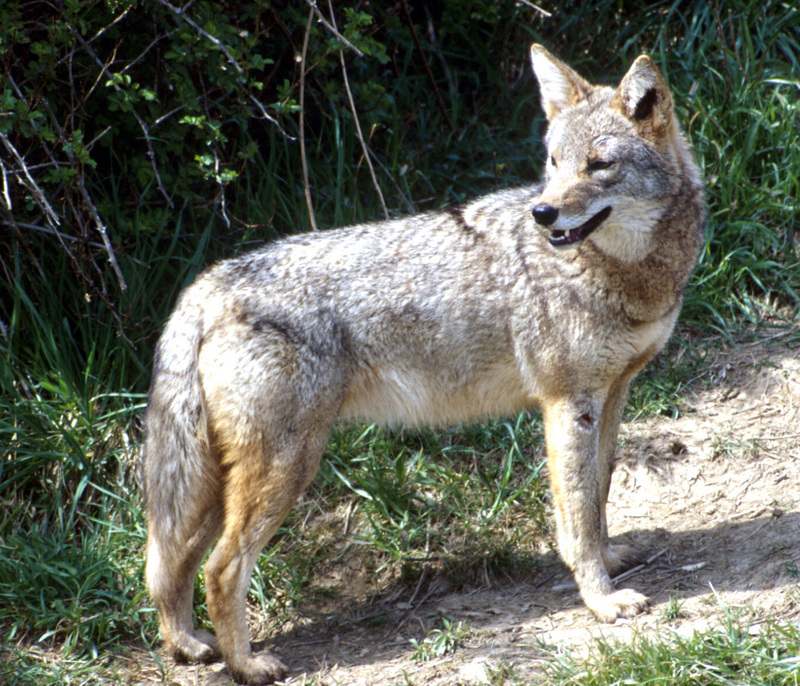 In Navajo culture, the trickster is a coyote. In Greek mythology, Hermes, patron of thieves, was a trickster character. In the Bible, Jacob was. The trickster as an archetype is a revered spiritual character that cheats or cons people for their own material gain or just to cause mischief. In effect, a trickster is a very real part of reality that must be negotiated. The idea that special messages veer into the spiritual realm of the collective unconscious may become appealing to many message receivers. Indeed, for me, message crisis or “psychosis” used to be real government and mafia surveillance; now that I know how to navigate, the surveillance reality mixes with the spiritual emergency narrative Stanislav and Stephanie Grof helped articulate. Let us not forget that other causal strategies can be operant. Thus, not only are political and spiritual causation at play. It is also important to consider the interplay between psychology, science, and trauma as we have explored elsewhere. But without support or resources, trickster messages deceive people into either or causal realities. Often, people become too spiritual or too focused on the fact that they are politically controlled. They may fail to incorporate other causal potentials. As a result, they come into conflict with consensus reality, get burdened by the illness narrative myth, get ineffective treatment, and find that social decline results. Thus, to navigate through a spiritual emergence effectively in the modern world it becomes important to realize that a significant number of messages function as tricksters. In crisis or emergency, trickster messages get believed very literally when they ought not to be. As examples of negative and positive trickster phenomena will reveal, believing trickster messages reinforce the power that message receiver to give to their message experiences. The more power given to messages, the less the message receiver cares or knows about the ideas that govern consensus reality. The classic example of a negative trickster that a message receiver may experience is that the message receiver believes they are being followed collecting messages that tell them so. Then, because they believe they are being followed, they act as though they are being followed until the police and psychiatric establishment do follow them and put them in an observation unit. Then, they really are followed and monitored. The result of such a trickster phenomenon is that all messages that were signs of being followed are believed to be accurate and important when some were, and some may not have been. The message receiver learns to trust all those messages more than mainstream consensus reality concepts. An associated example of a negative trickster is an intuition based on body language that a person doesn’t like the message receiver. The result is the message receiver is hurt and angry and behaves as if the message is accurate and the person picks up on social energy and behaviour and then really doesn’t like them. What comes first will never be known but the fact of the matter now becomes accurate. So, a voice gives a message receiver a command that they must follow to avoid being tortured and the message receiver becomes fearful and vulnerable and when they don’t listen the torture comes. Then, they become victimized by tactile torture and fail to get out of bed for a day and do not seek support because no one will believe them. Another example of a negative trickster is the blacklisted political refugee who resists the host countries effort to control them. They may defiantly send out resumes for good jobs, each from a different mailbox. Then, this willful behaviour makes the host country increase surveillance and control. Often, the reality of the negative trickster foils a supporter’s efforts to reality test. Picture the message receiver who gets told not to trust their messages by a supporter. The well-intended supporter considers the evidence and tells them it’s not true that they are being followed. Then, the message receiver finds out they really were getting followed. Now the reality test turns into betrayal and the value of and trust for the message reality is amplified while trust in supporters and consensus reality decreases. I advocate for trying to teach the trickster phenomena before making a reality test. Then, a supporter can isolate the special message that leads to the divergent view and suggests that maybe it’s a trickster. This becomes much less offensive to a message receiver. Meanwhile, isolated message receivers get put on an observation unit in the hospital. They must choose to ignore it all the blatant ways they are being followed and pretend that they are not being followed. If the message receiver ignores and exudes confidence in front of all the messages (real and unreal,) the police and psychiatric establishment will either not become involved or eventually will give up and stop the following behaviour. But to interrupt the process, the message receiver needs to put prayerful energy out in the universe that tells everyone they are not being followed repeatedly. When they do get followed, they need to ignore it and move forward. In the case of feeling followed, the message receiver may not ever know which messages were real and which were tricksters. Perhaps time and investigation will show which ones were true and which weren’t. But ultimately, focusing on overcoming tricksters will slow down the messages. If, for example, a message receiver ignores a message that is intended to torment them, it is very discouraging to the tormenter. Then, the message receiver gets fewer messages that they are being followed and it becomes easier and easier. With a message receiver intuiting that a person doesn’t like them, the message receiver needs to ignore this negative forecast and approach the person in a friendly way. Thus, the message receiver acts opposite to the way they feel, and they put out energy into the world that may change the person mind. Perhaps they change the observers’ mind and the person who dislikes the message receiver is forced to change their mind via social pressure. In the case of the commanding voice, the message receiver puts magnets in their shoes, doesn’t listen to the command and takes himself to an HVN meeting and tells his supports that the magnet deactivates the chip in his body that enables him to be tortured and he never does get tortured. In the case of the political refugee, the message receiver accepts the host countries control and the hierarchy that is abusing him and stops fighting the power. Instead, the message receiver offers prayers and mantras that he will be employed before he runs out of money and gets hired in the nick of time and continues to behave on the job. In all these examples prayers, mantras and faith are needed to endure and reduce the negative effects of messages. Some message receivers may find that they believe a trickster because it is what they want to hear. Then, later, they find they get socially punished for the belief. This usually involves the message receiver acting out in ways that sabotage their cultural capital or that results in real social sanctions. Numerous message receivers experience special messages that are a positive support and there is nothing wrong with that. However, even people who argue that the world is mostly positive can be dogged by tricksters when they interpret an ominous warning sign in a positive direction. They may, for example, believe God and country is supporting them with special messages when those messages are not true. If they embark on a creating a business with “grandiose” notions that their government is supporting them and has their back, they may give away money or not fill their water bottle walking down the highway on their way to the post office figuring that the government is good and will have their back. The result is they end up down the road with no money and very thirsty. Instead of arriving at the post office as they had planned to pick up boxes for their business, they find themselves followed by the police, ambulance drivers and eventually by psychiatrists instead of supportive government agents. They may end up in a hospital getting rehydrated and then in an institution that seeks to sustain itself by keeping them incarcerated and the outcome can be negative to their efforts to start up a business. In the above situation, still, much of the experience can be godly and positive. However, to be successful the positive person still must be on the lookout for tricksters that are, in fact, negative guidance. Let’s say a friend sets a boundary that the message receiver misinterprets as an invitation to be chummy. The message receiver may be correct about their skills and abilities behind their grand plans, but misinterpreting the few messages that are tricksters can set up major roadblocks. The friend may get upset and call for a mental health consult. Likewise, a message receiver who believes everyone likes them when others are in fact mocking them collects objects and hands them to people that bear odd meanings. Instead of receiving the object and recognizing the funny or beautiful message of the gesture, a friend mocks and gossips about the message receiver and eventually, someone calls for a mental health consult. The message receiver may then be put on an observation unit while they persist using their skills until they are forcibly shown they have no skills and deserve an impoverished lifestyle. Though these examples are admittedly random, the result is that positive tricksters get in the way of monumental success. The all-or-nothing tendency to view all messages as positive may need to be broken. The upbeat message receiver must view the constant energy of their messages with humility. If they don’t, the result can be oppression and institutionalization. Negative alternatives need to be considered as plausible otherwise all the positive energy and ability will be labelled a waste. Ultimately, it always is important to find ways to put positive or negative messages on the back burner and investigate them or let time reveal the truth as the message receiver continues their work towards success. Positive tricksters need to be managed by the message receiver maintaining a strong grasp of the contents of consensus reality. Playing consensus can be an important strategy. It is also important for those receiving positive tricksters to exude a humble, a nonjudgmental, and an emotionally intelligent mentality. There also needs to be a sceptical act-opposite-from-the-way-one-feels mentality that will slow down the frequency of the positive tricksters. Praying that the positive message is not a trickster is a viable strategy. Additionally, clearly, the message receiver needs to weigh the potential consequences of non-consensus reality behaviour. This will keep positive tricksters from spiralling out of control. Often, a supporter can count on discussing trickster process and having a message receiver acknowledge that this has happened with an, “oh, yeah,” kind of realization. Supporters may spot times this is happening and spell it out to the message receiver. Transforming out of a message crisis takes time and there are significant back and forth debates about consensus reality that may need to be had. However, a supporter needs to use judgement before they try to educate a message receiver about this spiritual concept. Experienced message receivers who can function in consensus reality may have already figured out the concept and crediting them for their wisdom and reinforcing the practice is good form. However, if a message receiver seems routinely expresses ideas that are very far away from consensus reality and continues to act on them, the chances are that they are taking information from tricksters very literally. Before a supporter simply educates the impacted message receiver about the trickster concept, they need to establish an ability to identify message phenomena and collaborate. If support can validate divergent views, and sleuth with the message receiver, it is a good sign that trust is building. It may even be necessary to be able to discuss different approaches to the issue of what is causing the message experiences. The result of tricksters being intermixed with accurate message material is that the accuracy of all special message phenomena is believed, and the message receiver’s relationship with consensus reality is likely to become progressively less trusting. Ironically, as the trust for consensus reality decreases, the message receiver is likely to get robbed of their power, identity, social roles and eventually their material possessions. Despite a lot of errors in consensus reality that often preoccupy the institutionalized message receiver, knowing consensus reality is an important strategy when it comes to managing both negative and positive tricksters. In fact, we all know that Lee Harvey Oswald killed JFK and must act as if it were true in the right contexts. In this manner, message receivers need to learn to put on the façade of consensus reality, to avoid behaviour that will increase the reality of negative or positive tricksters. Message receivers need to let the messages go and let time tell. This is an act of faith. This does not mean that message receivers can’t be free to live in their messages and share as they want when they are in good company in a group of supporters. Generally, people aren’t always right about reality anyway. But the understanding and acknowledging the trickster phenomenon can help decrease crisis and steer the message receiver toward success in the social rehabilitation realm. Included in this learning, message receivers need to learn to trust people through their own intuitive communication as much or more than they trust special messages. This takes time and ongoing commitment as it is not an instant change. But knowing that messages have a significant degree of tricksters in them can really help. And communicating about tricksters and re-examining past traumatic occurrences with the associated spiritual skills can really help a message receiver trust the supporter. There is some important material here which deserves a revisit when I can give it the attention it deserves. Maybe not entirely the same but I remember reading Laing’s work (or at least trying to) and sometimes giving up – and yet his work still lives with me and influences my work. Thank you so much for the encouragement. It means a lot to me!! !